Summer break is officially here, which means it’s time to soak up the warm weather and relax! 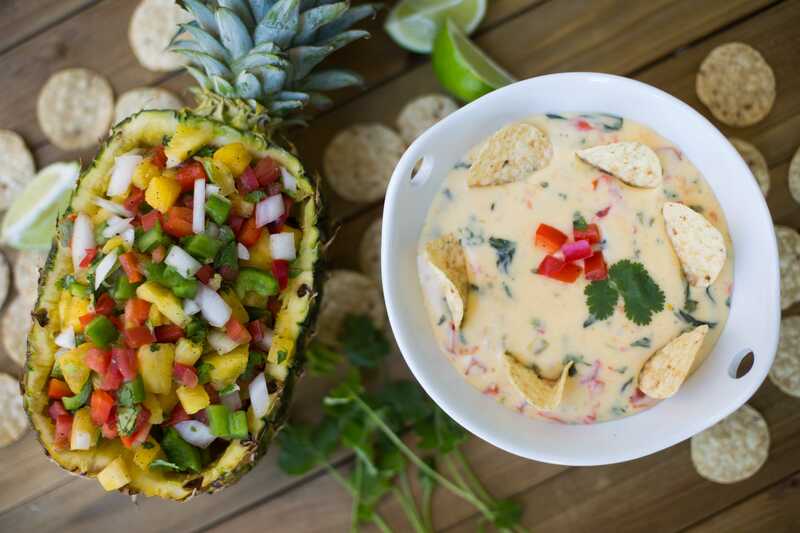 The last thing you want to do is spend hours in the kitchen, so we’ve come up with some simple, tasty recipes for you to make that are perfect for a poolside party or just to munch on with some friends. The best part? Each of these foods can be made in advance, so you don’t have to take time away from enjoying the sun. 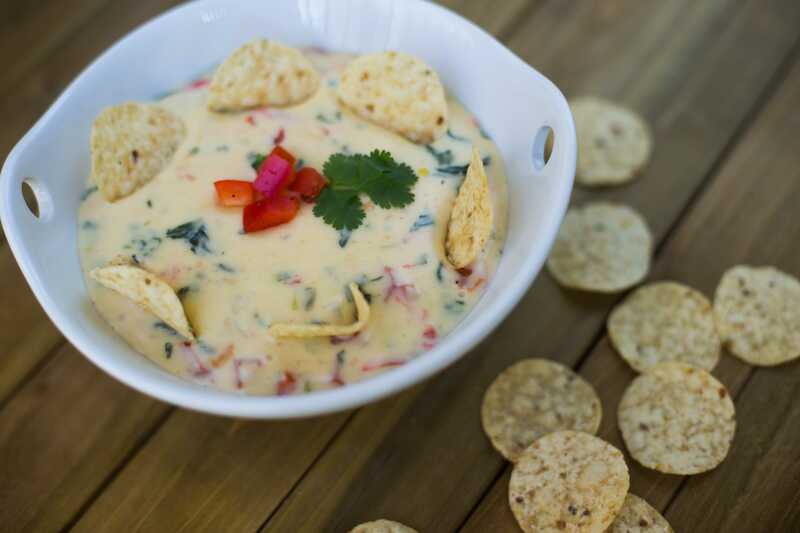 This queso is super simple to make and requires little prep time. In a large skillet, heat oil over medium heat. Add in jalapeño and onion and sauté until tender. Slowly add in cheese and half & half and continue stirring until melted. Add tomato, spinach and cilantro and stir well. Transfer to a serving dish and serve with tortilla chips. Nothing says summer like fresh pineapple! Mixed with some tomatoes and other ingredients, and you’ve got yourself a delicious salsa, tasty for any occasion. To make the pineapple bowl, cut about ⅓ of the pineapple off, leaving the stem attached to the larger piece of the pineapple. Make a cut around the outer edge of the pineapple and make cuts across the middle. Using a metal spoon, loosen and scoop out pineapple chunks. Pour the extra juice out of the pineapple bowl so that it is empty. 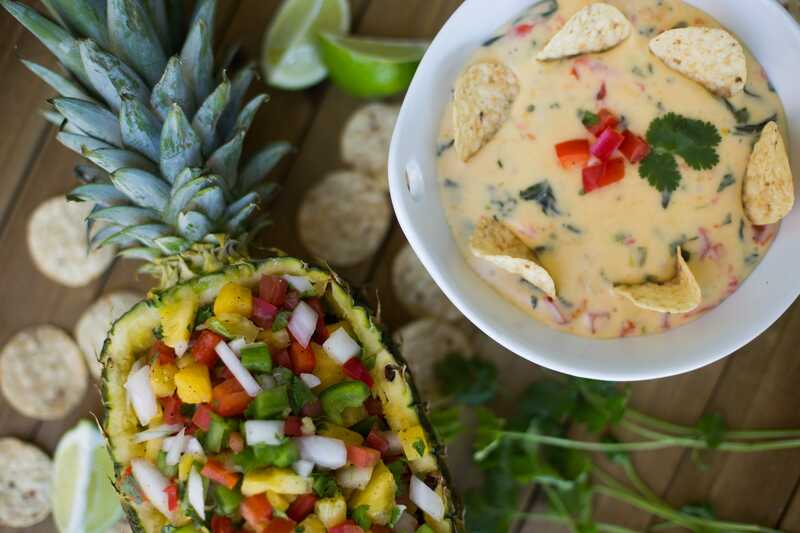 In a small bowl, mix together diced pineapple, diced tomatoes, diced peppers, minced onions, chopped cilantro, lime juice, salt, and pepper. For some heat, add in the jalapeno. 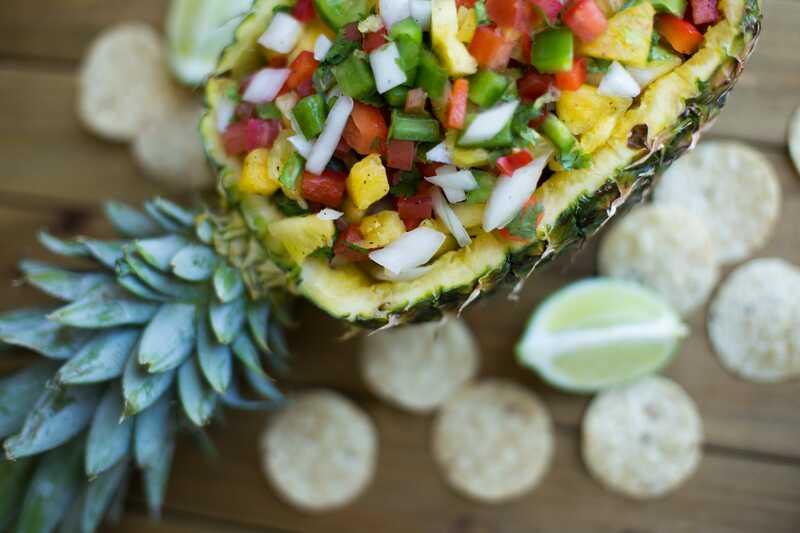 Transfer the salsa to the pineapple bowl. Keep cold until served. These tiny bites are the perfect combo of sweet and salty. They will be an instant hit. Cook chicken tenders as directed on package and after, cut into 3-4 pieces each. 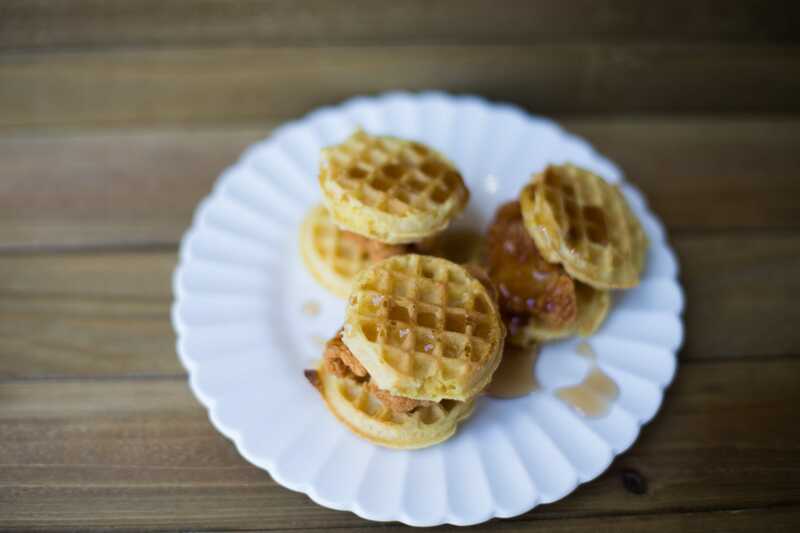 Break apart mini waffles and toast until golden brown. 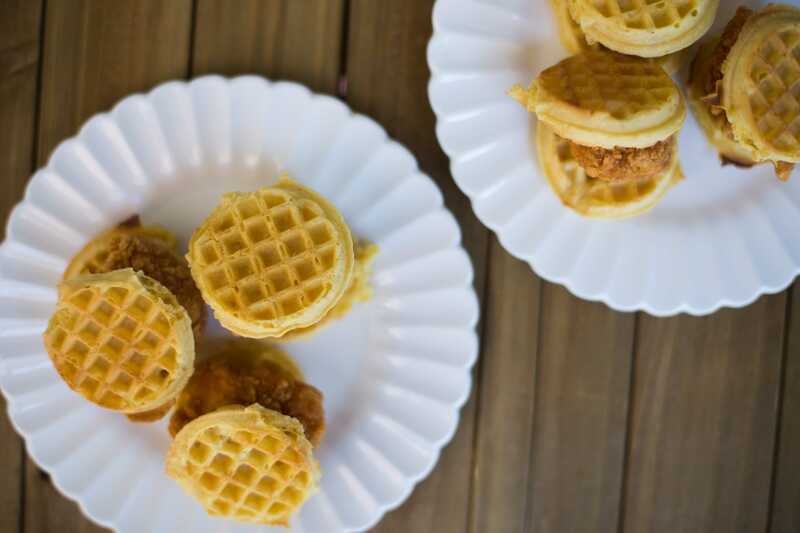 Sandwich 1 piece of chicken between 2 mini waffles. 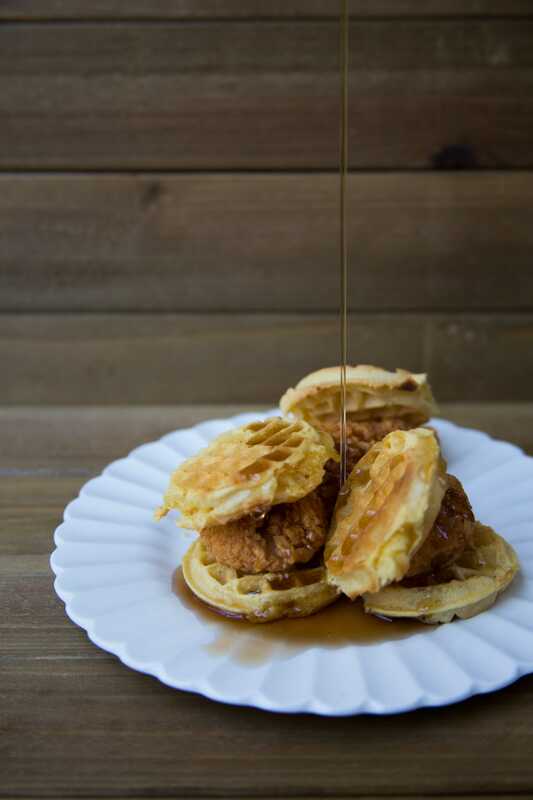 Drizzle with maple syrup and serve warm. **Note: One chicken tender will make about 3-4 sandwiches. Tip: Toothpicks also help keep the sandwiches together. 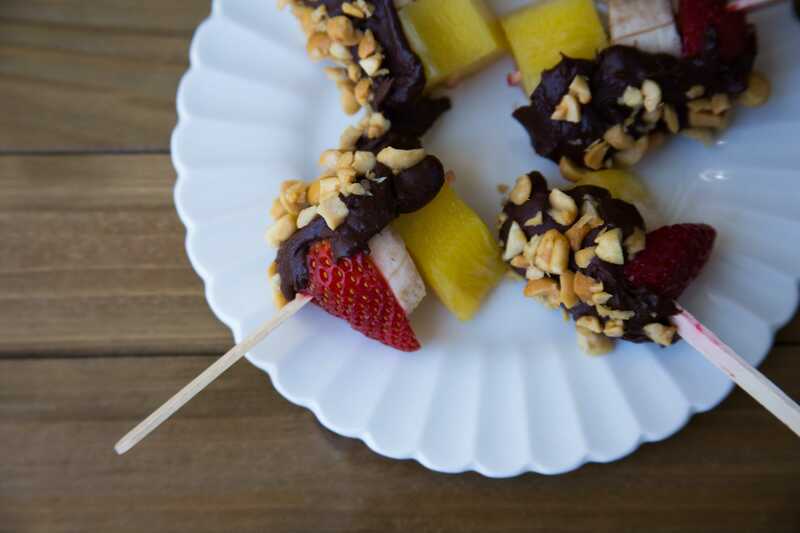 Fresh fruit and delicious chocolate combine to form the perfect dessert for your summer gathering. These are super simple to make and can be kept frozen until ready to serve. Cut strawberries in half and then cut an equal size piece of banana and pineapple. 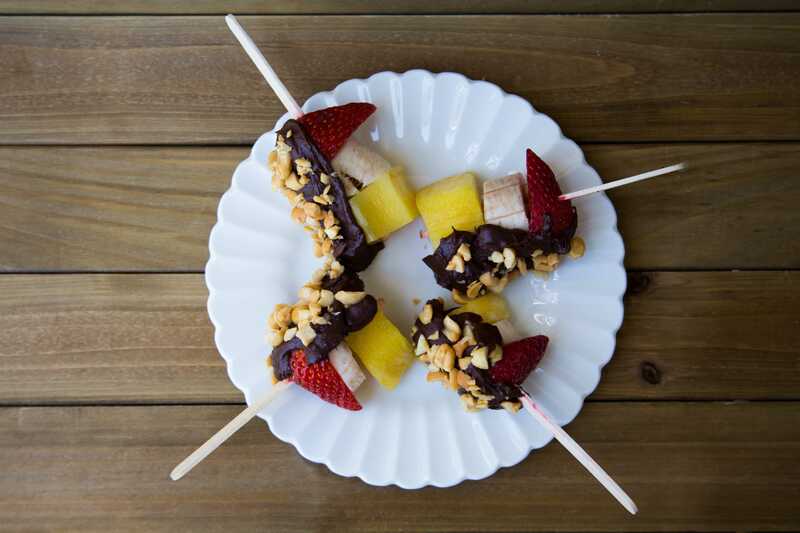 Place strawberry on Popsicle stick first, followed by banana and pineapple. Melt chocolate by heating in the microwave for 30 seconds, stirring and repeating until melted and smooth. Or, melt in pot over heat. 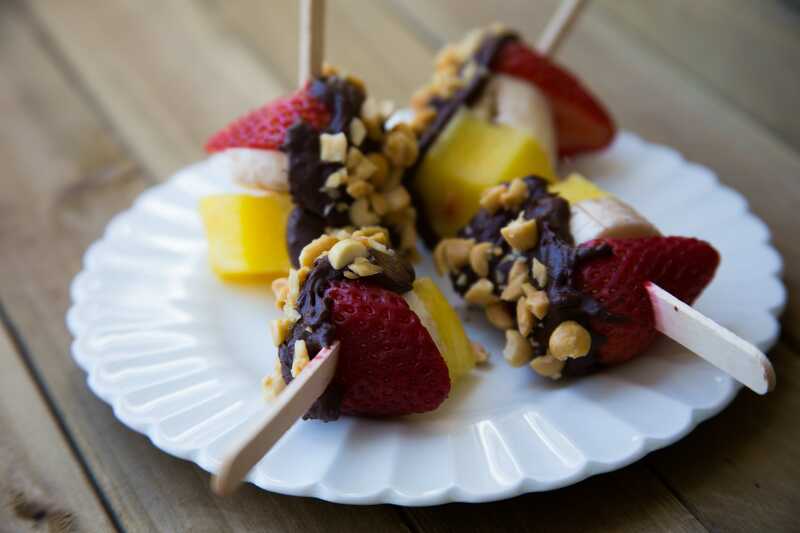 Dip cold fruit in chocolate, then into nuts and place on prepared tray.